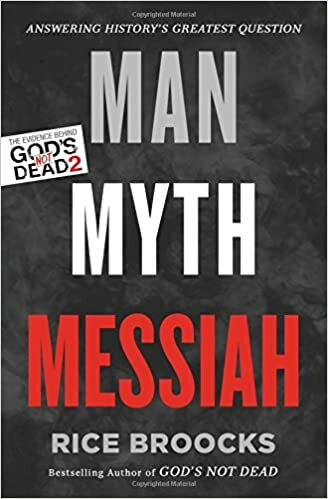 Book Review - Rice Broocks – Man, Myth, Messiah: The Evidence Behind God is not Dead 2. Thomas Nelson. 2016. Let me begin this review by inviting people to go see or download the movie: “God’s Not Dead 2”. Why? It presents compelling reasons as to why Jesus is not a myth, nor just a man but truly the Messiah who raised from the dead. In the movie, one of the characters is seen reading the book “Man, Myth, Messiah” authored by Rice Broocks. Dr. Broocks is a substantial author, senior minister of Bethel World Outreach Church in Nashville and scholar in his own right (research PhD from Fuller Seminary, with the focus on defining the office of the evangelist). The foreword of the book was written by world-renowned Christian apologist and Liberty University Professor Gary Habermas, who is among the world’s foremost experts and defenders of Jesus’ resurrection. For anyone concerned about the validity of this book as a sound resource: such fears can be laid to rest. Now to the book. As Dr. Broocks unfolds his case over ten chapters, his arguments are accessible and well-researched. Chapter One deals with what he calls “The Great Question”, based upon Jesus’ question: “who do men say that I am” in Matthew 16. In chapter two, we find what is called the “Minimal Facts Approach” (“minimal facts” being those details of the Easter accounts agreed upon by skeptical and believing New Testament scholars and which are unmistakably demonstrated). Dr. Broocks’ central idea in these first two chapters is to show that Jesus was indeed a real, historical person who lived, died and resurrected from the dead. In chapters 3,4 and 5, we find sound arguments and evidence for the reliability of the Gospels, the crucifixion and resurrection. It is from the credibility of Jesus’ existence and the resurrection accounts that Dr. Broocks unravels skeptical notions of Jesus’ resurrection mimicking pagan myths. This idea is actually turned on its head, since Christianity was situated in the soil of 1st century Judaism, rather than Greek Mythology. In many cases, either the myths turn out not to teach what skeptics claim or appear to actually borrow from Christianity itself! In chapter 8, Dr. Broocks addresses the so-called “problem of miracles”, wherein he writes on page 175: “In other words, in order to believe no miracles ever happened, one must begin by assuming that no miracles can happen. This logic is circular reasoning and therefore self-defeating from the onset.” I found this chapter to be particularly strong, since he appeals not only to logically sound arguments, but also to valid contemporary examples and further resources on miracles. Undoubtedly Dr. Rice Broocks’ well-reasoned and very readable style makes a strong case for Jesus Christ being the Messiah who raised from the dead. However, the last two-chapters were perhaps the most helpful parts of the whole book with respect to the local church. In chapter nine, Dr. Broocks outlines a four step process for discipleship or following Jesus: engage unbelievers, establish foundations of faith, equip Christians to share their faith and empower them to do the ministry. Such a process is what he uses in the church he pastors and the ministries God has used him to plant. His definition of discipleship is right-in-line with Jesus’ teaching on the subject: deny yourself, take up your cross and follow Him. 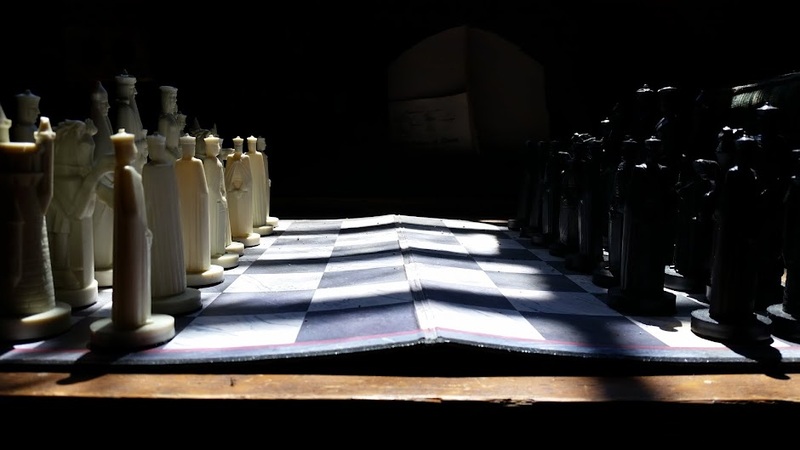 Chapter ten then links together the tasks of Christian apologetics (articulating and defending the faith) and evangelism. Dr. Broocks’ discussion includes a four-step strategy for beginning evangelistic conversations through what he calls S.A.L.T: Start a conversation, Ask questions, Listen and Tell the story. To facilitate this method, Dr. Broocks mentions an app and a tool called “The God Test”. The tool has a series of questions that are designed for either those who believe in God or for those who claim they don’t.